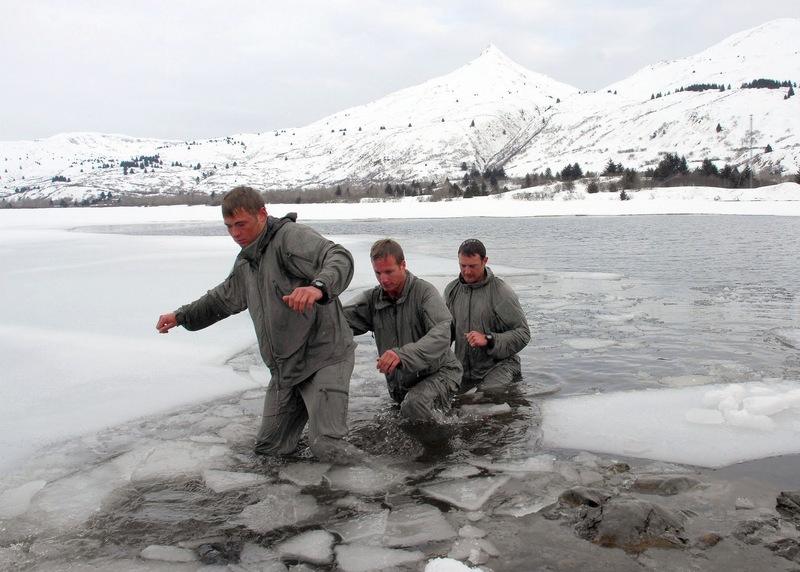 In 2002, a member of the Special Operations Forces made a call from a crater in the Hindu Kush, Afghanistan to the SOF Special Projects Team at the U.S. Army Soldier Systems Center in Natick, Mass: "Send warm clothing." Unfortunately for that soldier, but representing quite an achievement by the developers, the Protective Combat Uniform (PCU) was delivered, replacing the Lightweight Environmental Protection (LEP) system less than one year later. 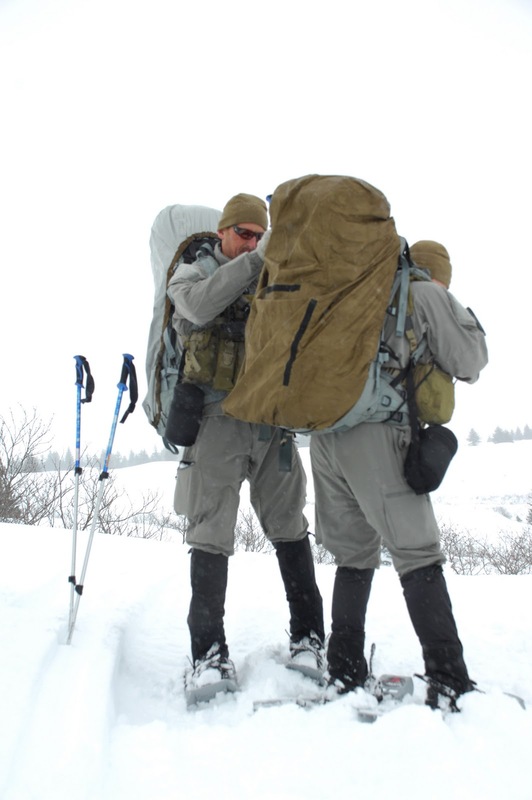 PCU is a 16 piece, 7 level clothing system that can be worn "layers-appropriate" for the mission, ranging from -50° to 40°F (-46°to 4°C). Instead of finding existing military systems as a starting point, Richard Elder from the Special Projects Team looked to COTS (civilian off the shelf) outdoor gear. After taking recommendations from Master Chief Scott Williams and consulting with extreme alpinist Mark Twight, PCU block 0 was born. Adhering to the Berry Amendmant requiring the DoD to give preference to American produced products, Nextec's Epic, and Malden Mills' polar fleece were utilized. ORC Industries produced levels 4, 5 and 6. SEKRI produced levels 1, 2, 3 and 7. Other companies contributing to the military's PCU system include YYK (zippers), Travis (Materials), 3M (insulation and Melody Miller (design). Even though there are seven layers in the system, it is not expected that on the coldest day you would wear all 15 items and then shed layers as it got warmer. Instead, PCU is most efficient when items are mixed and matched to cater to the anticipated conditions and activities of the operator. Elder stated that "The key to staying warm is moisture management." The latest Polartec fabrics by Malden Mills insulate and wick moisture away from the skin, while outer garments made with silicone-encapsulated fibers (called Epic by Nextec Applications, Inc.) allow sweat to escape while being highly water and wind-resistant. The idea is to remove moisture faster than you can produce it. 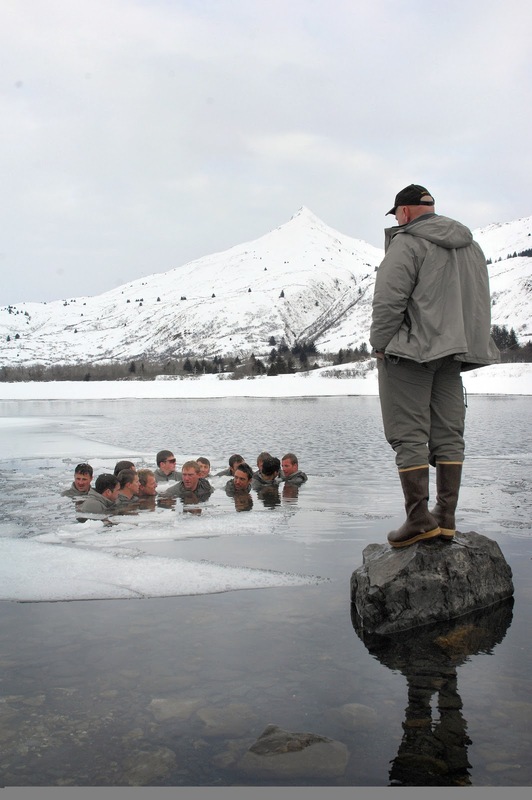 Army Rangers, Marine Force Recon, Army Special Forces and Navy SEALs successfully evaluated the Block 0 uniforms in Alaska in August, 2002. When the Block 1 system was officially fielded in 2006, PCU had been upgraded several times, and a vest was added to the extreme cold level. Any operators in the field between the years of 2002 and 2006 wearing PCU were part of the trial run, and their comments and critiques were incorporated into Block 1. In 2004 Patagonia introduced their Military Advanced Regulator System (MARS) which includes a number of the PCU levels. They were also rumored to have been the designers behind the current PCU designs. In July of 2008, ADS and Beyond Tactical announced that they were offering the entire 7-level system in both alpha green and coyote tan in either the complete system or as individual components. On top of providing standard sizing, Beyond Tactical customizes some of the garments to custom fit their customers. ADS also offers a DVD and a pocket guide to describe the PCU components and properly layering the system. In 2012, Soldier Systems had the opportunity to see the development of the block 2 prototypes and reported on some of the upgrades to the various levels. Other companies that have in the past or currently manufacture the various levels of PCU include: Blackhawk! Industries, Insport, Patagonia, Propper, Ready One and Steps Inc.